The 2011 Alfa Romeo Giulietta will be presented to the world at the forthcoming Geneva Car Show. In the Centenary year, the name is a tribute to an automobile myth and Alfa Romeo. The Giulietta is a car that, in the fifties, caught the imagination of generations of car enthusiasts, making the dream of owning an Alfa Romeo and enjoying the high level of comfort and technical excellence accessible for the first time. 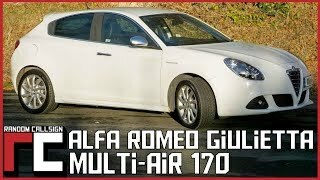 The Giulietta will be offered with a choice of two petrol engines (1.4TB - 120 HP and 1.4TB MultiAir - 170 HP) and two diesel engines (1.6 JTDM - 105 HP and 2.0 JTDM - 170 HP, both belonging to the second generation of JTDM engines). The top of the line will be a 1750 TBi that develops 235 HP with an exclusive Quadrifoglio Verde configuration. The new Alfa Romeo Giulietta will be presented to the world at the forthcoming Geneva Car Show. Sales of the new model will start in spring and be gradually extended to all the major markets. 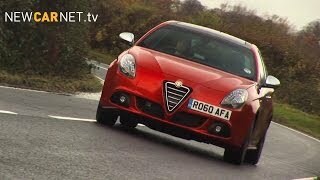 The Alfa Romeo Giulietta is expected to give new impetus to the brand in one of Europe's most important segments. Alfa DNA, a device which customises behaviour of the car according to different driving styles and road conditions, can adapt the new Alfa Romeo to the needs of each individual driver to enhance driving pleasure and comfort. The new architecture of the Alfa Giulietta was designed to integrate and enhance all onboard systems. Three set-ups (Dynamic, Normal and All Weather) are available and can be selected using the Alfa DNA. This device - standard across the entire range of the new model - modifies the operating parameters of the engine, of the steering system, and of the Q2 electronic differential, in addition to fine-tuning the stability control system (VDC) behavioural logics. Combining sportiness and elegance, the Alfa Giulietta is the result of Alfa Romeo's new direction in style and technology - an approach that started with the 8C Competizione supercar and which recalls the brand's glorious past while projecting its traditional values of technology and emotion into the future. The profile of the Alfa Romeo Giulietta is rich in personality and confers the appearance of an agile, solid model. This is above all the result of the coupé shaped side windows, which highlight dynamic and streamlined shape, and of the concealed rear handles. The side ribbing adds to the car's slender look, while the taut lines closing in on the rear end accentuate the "wedge" shape of the body. 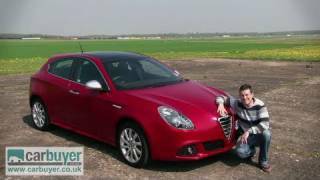 The Alfa Romeo Giulietta guarantees top level performance and next-generation technology in terms of technical solutions, performance and environmental friendliness. Four Turbo engines will be available at launch, all Euro 5 compliant and fitted with a standard “Start&Stop” system for reducing consumption and emissions: two petrol engines (1.4TB - 120 HP and 1.4TB MultiAir - 170 HP) and two diesel engines (1.6 JTDM - 105 HP and 2.0 JTDM - 170 HP, both belonging to the second generation of JTDM engines). Finally, the range is completed with the lively 1750 TBi - 235 HP with an exclusive Quadrifoglio Verde configuration.